Yander Guevara sizzled on the mound as the Ciego de Avila Tigres won a second straight World Baseball Challenge for Cuba. In 2011 the Cuban National team took the gold medal in the second year the tournament was held at Citizen Field in Prince George. Two years later, the Avila Tigres beat JX-Eneos of Japan 14-4 in the bottom of the eighth inning in a gold-medal final in front of 1,555 fans. Yoelvis Fiss hit a three-run homerun to end the game on the mercy rule. Guevara gave up four runs on seven hits and had eight strikeouts through eight innings of work, while designated hitter Ruben Valdez went 3-for-4 with two runs to lead the team offensively. The big inning for Cuba came in the bottom of the fourth when they put up six runs. Cuba was on the board first with three runs in the bottom of the second inning. Isaac Martinez, Humberto Morales and Yorbis Borroto all pounded doubles to deep centre field, while Valdez had a single. Borroto’s double brought Martinez and Morales home. Japan rebounded with a pair of runs in the top of the third, off a leadoff double from Shun Ishikawa followed by a triple from the speedy Kimio Watanabe. With Cuba up 3-2, two out and a runner in scoring position at second, Japan made a pitching change, sending Tomoya Mikami to the dugout and replacing him with lefty Motoshi Oshiro prior to Martinez stepping up to the plate. Cuba pitcher Yander Guevara gave up a lead off homerun to start the fourth inning to Ren Yamasaki, tying the game at 3-3, but his teammates retook the lead in a big way in the bottom of the inning. Cuba sent 11 batters to the plate to pound out seven hits and six runs off three Japanese pitchers to open up a 9-3 advantage. In the sixth inning, Yamasaki doubled for Japan but his teammates couldn’t bring him home. Ishikawa hit a solo homer to make it 9-4 followed by Watanabe banging his second triple of the game off Guevara. It didn’t take long for Cuba to regain the six-run lead. Cuba designated hitter Ruben Valdez blasted a ball towards Highway 16 for a 10-4 lead. The USA NWAACC needed an extra inning to beat the Chinese Taipei National Team on Thursday at Citizen Field to earn the bronze medal with a 9-7 win. Chinese Taipei tied the game at 6-6 in the bottom of the eighth inning. 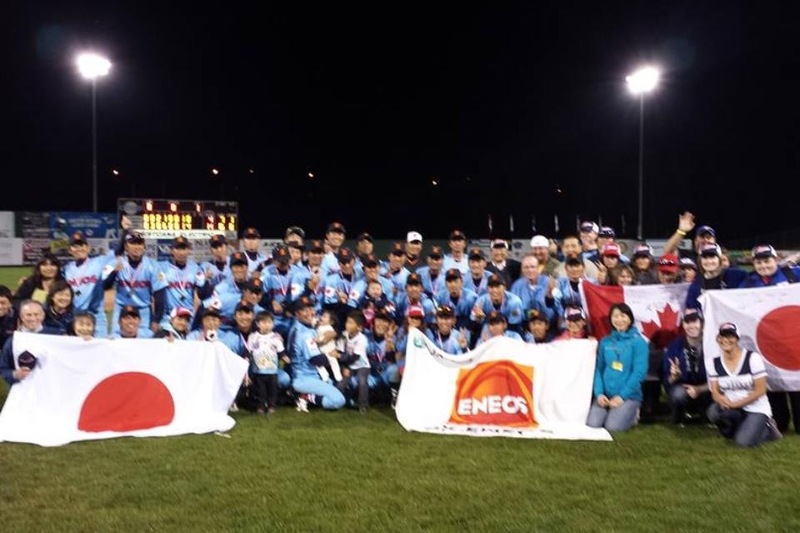 Pitcher Austin Woodward said it was interesting facing teams like Japan and Chinese Taipei with mid-twenty players and Cuba with players in their 30s. The 20-year-old hopes it gives him an edge as he and USA teammate, Jacob Herklotz, attempt to walk-on at Oregon State University, where they're transferring this year after spending last season at a community college. "They've got a lot of good guys so we're just hoping to make the team," said Woodward. Last year, Oregon State made it to the NCAA Division 1 College World Series tournament. Final standings were: 1. Cuba - Ciego de Avila Tigres (1 Pool Play), 2. Japan – JX-Eneos (3), 3. USA NWAACC (4), 4. Chinese Taipei (2), 5. Canada (5). LHP Oshiro and Catcher Hidaka of JX-Eneos were chosen as All Stars for 2013 World Baseball Challenge.